The medieval period is known as the Middle Ages, beginning with the fall of the Roman Empire in 476 AD (5th century) and lasting up to the 15th century. This period saw the rise of Islam, the Renaissance, and the Age of Discovery (beginning of the 15th century until the end of the 18th century). Western medieval medicine inherited a lot of existing ideas from antiquity. Medical knowledge in early medieval medicine, that is, after the fall of the Roman Empire, was based primarily on spiritual influences (God will cure whatever illnesses they may have) and surviving Greek and Roman texts preserved mainly in monasteries. 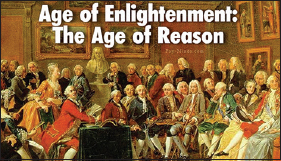 Ideas about the origin and cure of disease were based on a worldview that destiny, sin, and movement of heavenly bodies (astrology) played a great part. Western medical tradition traces its roots directly to the Greeks, but their epic poems The Iliad and The Odyssey offer some insight into ancient Greek medical practices before the time of Hippocrates. A recurrent theme in The Iliad and The Odyssey is that the gods, if displeased, send plagues, epidemics, and various illnesses to humanity. These maladies can be cured by praying to the gods, in particular, Asclepius, whom Homer considered a great physician and who was deified in the third or fourth century. This particular concept of health is a carryover from ancient medical practices. 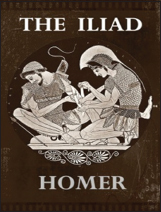 I remember that I was a college student when I first read The Iliad (English translation), and it easily became one of my favorite books. In addition to the theme and the plot, I was fascinated with how the gods frequently meddled in the affairs of ordinary mortals. It is alright to read about gods interfering in the affairs of humans, but belief in such ideas hinders medical progress. Western medical tradition is strongly influenced by Hippocratic medicine. Hippocrates, of course, is known as the Father of Medicine. He was a Greek physician who based his medical practice on observations on the study of the human body. He believed that the body is a reflection of natural forces and therefore contained the four elemental properties: fire (hot), air (cold), earth (dry), and water (moist). 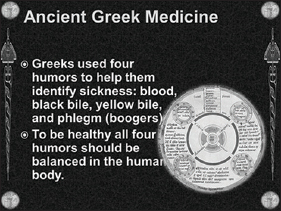 The Greeks called this concept “The Four Humors.” Health in the human body relied on keeping these humors in balance within each person. 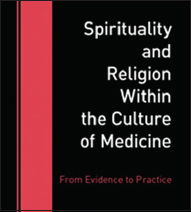 Belief in this concept of health dominated medical theory for centuries. In addition to Hippocratic influences, medieval medicine was heavily influenced by pagan and folk practices. The Christian church played an important role in propagating such practices. 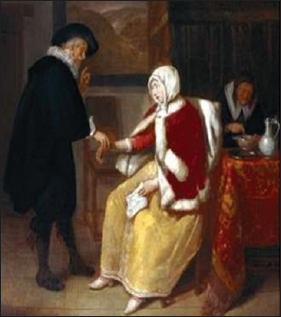 Medieval doctors practiced medicine through an understanding of the humorstaking into consideration the patient's home environment, diet, and astrological charts. Position of the heavenly bodies was considered an integral part of making a diagnosis as they (the heavenly bodies) influenced the elements which are connected to certain humors. The Middle Ages used herbal remedies for ailments. Many people, especially convents and monasteries, kept gardens full of various herbs with medicinal properties. Books with beautiful illustrations of the various herbs and what they were used for have been printed. Some of these medieval herbal books survive to this day and have been reprinted. Herbal medicine survives to the present. The practice of medicine in the early Middle Ages was empirical and pragmatic – it focused mainly on curing disease rather than discovering the cause of disease. Medieval medicine became more developed during the Renaissance in the 12th century. In the 13th century, many Ancient Greek medical texts and Islamic medical texts were translated from Arabic. The Middle Ages laid the groundwork for later, more significant discoveries. There was a slow, but constant progression in the way that medicine was studied and practiced. The monasteries played an important role in preserving ancient and Muslim medical text. The Middle Ages brought a new way of thinking. A case in point is human dissection, which was rediscovered in the Middle Ages but then again disappeared largely due to religious cultural taboo and then again resurfaced or rediscovered in the late middle ages. It was (and still is) considered a great tool for learning anatomy. I was taught that to learn human anatomy, one must dissect. Human cadaveric dissection originated in Greece in the third century BC, and for many centuries, physicians in Ancient Greece gained considerable information about the human body in health and disease. Herophilus and Erasistratus, two legendary Greek physicians in the Greek medical school in Alexandria, Egypt, engaged in human dissection and conducted numerous researches on their theories and observations about various diseases. After their deaths and the fire that gutted Alexandria, human cadaveric dissection disappeared from Europe. It was widely accepted and perceived that the Christian Church forbade human dissection. 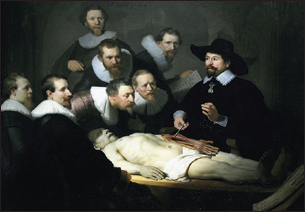 The church's position on dissection was misinterpreted and misunderstood by the medical writers and philosophers of the time who considered it blasphemous. Dissection was subsequently revived in Italy in the early 14th century, at the University of Bologna as a tool for teaching anatomy. Many historical writers believed that the Christian church did not encourage the development of rational thought and investigation. We know that medieval physicians just parroted the earlier theories of disease from antiquity from the likes of Galen, Aristotle, and Hippocrates. Galen was a renowned Greek physician in the Roman Empire, who dominated medical thinking for much of the Middle Ages. 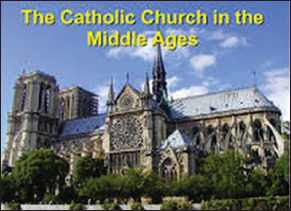 Historians say that the medieval world valued the sanctity of the church more than scientific quest – and this is true when you read on the Middle Ages. The doctor–philosophers of antiquity such as Aristotle and Hippocrates and the Muslim physicians such as Avicenna used the pulse and its variations in health and disease to assess patients. William Harvey, who lived during Renaissance Europe, made many contributions to anatomy and physiology. It is claimed that he described completely and in detail the systemic circulation. He described how blood was pumped to brain and body by the heart. Although we owe Harvey a detailed description of the systemic circulation, he did not seem to have used the pulse for diagnosing diseases. It is difficult to generalize about the nature of medical knowledge in this period. Information comes mainly from manuscripts which are interpreted and assessed by writers. How did the medieval doctors assess the condition of a patient since they did not possess a fully articulated physiological and pathological rationale for the causes, rationale, and prognosis of diseases? They lived in a religious culture. They used the pulse and urine to guide them in treating diseases. You should not visit every patient in the same way, but if you listen to all of this, you shall learn. As soon as you approach the patient, ask him if perchance he is in pain. And, if he says that he is, ask if the pain is strong or not and persistent or not. Afterwards feel his pulse and see if he has a fever or not. If he is in pain, feel his pulse, which will be fluid and rapid. And ask him if the pain comes when he is cold; also if he is wakeful. And ask if the wakefulness is due to this illness, or to some other activity, and if his bowels and urine are normal. And inspect both parts, and see if there be some danger to him … ask about the onset of the illness, and about what the other physicians who visited him said, and whether they all said the same thing or not. And enquire concerning the condition of the body, whether it is cold or the like, whether the bowels are loose, sleep interrupted, and if the disease is persistent, and if he has ever had such ailments before. When you have enquired into all these things, it will be easy for you to discern the causes (facile eius causas agnoscis) and the cure will not seem difficult for you. Historians say that Islam spread from the beginning of the seventh century and that the Islamic Golden Age occurred from the eighth century to the 14th century. During this time, the Arabs embarked on translations of the texts of antiquity, thus preserving for the world knowledge which would have otherwise been lost. The Islamic world was ruled by caliphates. Science, economic development, and cultural works flourished. 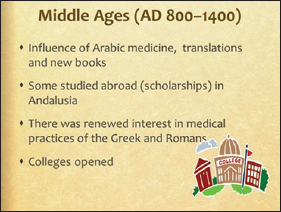 Islamic medicine preserved, systematized, and developed the medical knowledge of classical antiquity, including those of Hippocrates, Galen, and Dioscorides. It integrated concepts of the ancient Greek, Roman, Persian, and the ancient Indian traditions of Ayurveda. When the Greco-Roman empire vanished, the knowledge of Western Europe was nearly lost; however, the Arab-Islamic translators preserved the valuable learning of antiquity. In the monasteries, this knowledge was retranslated back into Latin from the Arabic version. This occurred during the Renaissance period. Therefore, European physicians regained the knowledge of antiquity. Of all the traditional diagnostic methods, none is more fabled and legendary than pulse diagnosis. Arab-Islamic physicians were celebrated pulse diagnosticians. Avicenna or Ibn Sina (980–1037 AD) is of course well known in the west. He wrote a textbook, called The Canon of Medicine, a medical encyclopedia which summarized Greek, Indian, and Muslim medical discoveries. His book was used as a standard medical textbook through to the 18th century in Europe. Besides their many contributions to medicine, Hippocrates, Aristotle, Erasistratus, Galen, and Avicenna are considered giants in pulse examination – Pulsology. They did not have sophisticated technology to prove or disprove theories. They had only the pulse – so they studied the different ways of the pulse in health and disease. A frequent occurrence was lovesickness and its emotional effect on the pulse. Apparently, lovesickness was quite common in antiquity and in the Middle Ages. There are famous cases where Hippocrates, Erasistratus, Galen, and Avicenna diagnosed this entity using the pulse. Avicenna wrote, “Feeling the pulse is a trick, which could be used to discover if the person is in love”. Feeling the pulse of a patient and asking questions, they were able to tell what the patient is suffering from. Likewise, Ibn Nafis (1213–1288 AD), who discovered the pulmonary circulation, described how to diagnose lovesickness using the pulse and its symptoms. Theories explaining the physiology of falling in love abounded in Arab-Islamic medicine and influenced by Greek thinking. The first to describe the pulse in health and disease was Galen, but his observations were not always correct. After refining Galen's theories on the pulse, Avicenna gave the first correct explanation of pulsation. In the words of Avicenna, “every beat of the pulse comprises two movements and two pauses”. Thus, expansion: pause: contraction: pause. In ancient times, Galen as well as Chinese physicians erroneously believed that there was a unique type of pulse for every organ of the body and for every disease. Avicenna examined the pulse using the wrist, and this is still being used to the present. The potentially lethal consequences of emotional stress are deeply rooted in medical anecdote and folk wisdom. The pulse was used to diagnose such conditions. In nonemotional states, the pulse also was considered to “talk,” so therefore the physician from ancient times was taught to learn the character of the pulse in health and disease and the changes which occurred in disease. Even though the Chinese were considered the great masters in pulse diagnosis, physicians in classical antiquity used the pulse in health and disease to guide them in assessing the patient's condition. Literature on the pulse was plenty, largely inspired by Galen who dominated classical medical thought. There is a lot of overlap between Arab Islamic medicine and the Middle Ages in the 13th and 14th centuries. The pulse was assessed not only in terms of whether it was weak or strong, slow or fast, regular or irregular but also, for example, whether it was large or small and hard or soft. From such examination, physicians considered that they could identify problems ranging from jaundice to dropsy, diphtheria, pregnancy, and anxiety. Historians say that Islam's greatest contribution to the world was Islamic medicine and certainly we encounter numerous instances where Islamic scholars gathered vast amounts of information from around the known world. They added their own observations and developed techniques and procedures that would form the basis of modern medicine. For example, Avicenna was the first to use the wrist to examine the pulse. 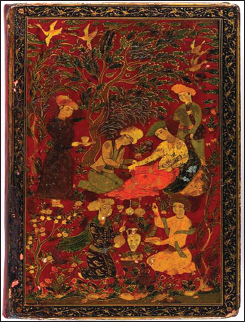 Islamic medicine stands out as the period of greatest advance before the technology of the 20th and 21st centuries. Available from: https://www.en.wikipedia.org/wiki/Medieval_medicine_of_Western_Europe. [Last accessed on 2018 May 30]. Available from: https://www.en.wikipedia.org/wiki/Middle_Ages. [Last accessed on 2018 Jun 15]. Available from: https://www.en.wikipedia.org/wiki/Age_of_Discovery. [Last accessed on 2018 Jun 20]. Ghosh SK. Human cadaveric dissection: a historical account from ancient Greece to the modern era. Anat Cell Biol. 2015; 48(3):153-169 Published online September 22, 2015. https://doi.org/10.5115/acb.2015.48.3.153. Reverón RR. Herophilus and Erasistratus, pioneers of human anatomical dissection. Vesalius 2014;20:55-8. Glatz C. Cutting-Edge Science: The Church and the Study of Human Anatomy. Catholic News Service; 2012. Friedland G. Discovery of the function of the heart and circulation of blood. Cardiovasc J Afr 2009;20:160. Wallis F. Signs and senses: Diagnosis and prognosis in early medieval pulse and urine texts. Soc Hist Med 2000;13:265-78. Martin MA. The Genius of Arab Civilization. In: Hayes JR, editor. The Genius of Arab Civilization. 2nd ed. London: Eurabia Publishing; 1983. p. 196-7. Celik T. Time to remember Avicenna for his contribution to pulsology. Int J Cardiol 2010;144:446. Buranova DD. The value of Avicenna's heritage in development of modern integrative medicine in Uzbekistan. Integr Med Res 2015;4:220-4.